Hotel "GALLERY" was commissioned in 1999. 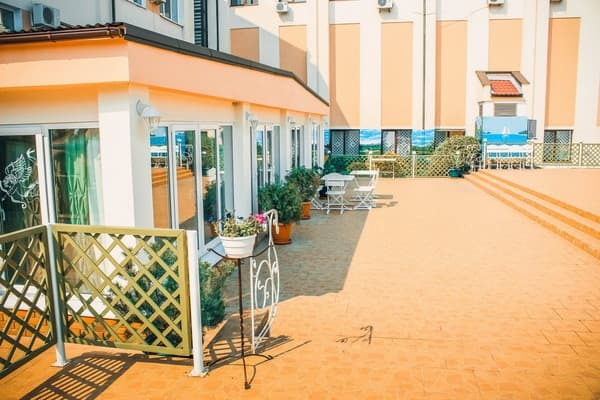 In a modern four-storeyed building with two elevators located twenty-five rooms, a small restaurant for hotel guests, conference hall (10-15 persons), bar with summer terrace, pool, gym, sauna, underground parking. 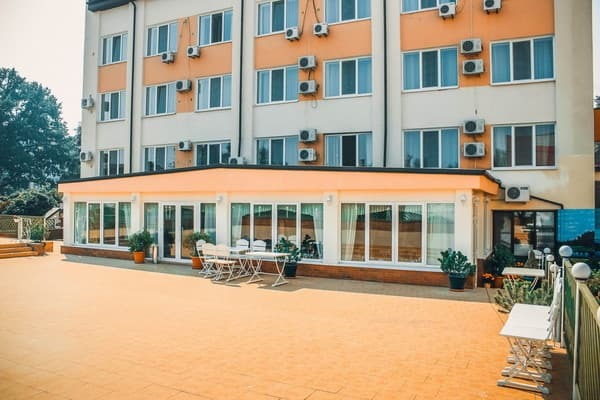 Atmosphere of home, coziness and comfort, high level of service - will create all conditions for work and leisure, business meetings and lively parties. 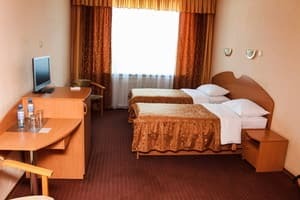 Description of the room: One-room, in the room there is a single bed with orthopedic mattress. 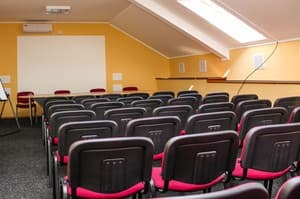 The room is equipped with air conditioning. The room has cable TV, LCD TV, Wi-Fi Internet, telephone, wardrobe. 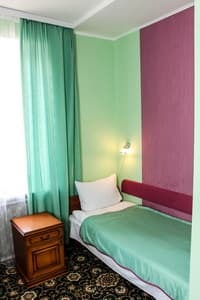 Описание номера: One-room, in the room double bed with orthopedic mattress, equipped with air conditioning. The room has cable TV, LCD TV, Wi-Fi Internet, telephone, refrigerator with minibar, wardrobe. 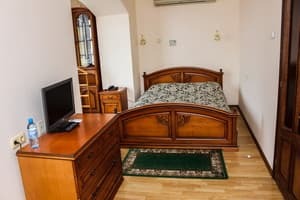 Description of the room: One room with two single beds. The room has cable TV, LCD TV, Wi-Fi Internet, telephone, refrigerator with minibar, wardrobe. Description of the room: Single room. In the room there is a double bed with orthopedic mattress. The room is equipped with air conditioning. The room has cable TV, LCD TV, Wi-Fi Internet, telephone, refrigerator with minibar, table, chairs, wardrobe. Description of the room: Two-room suite consisting of a bedroom and a living room. A hairdryer, kettle and iron are available on request. 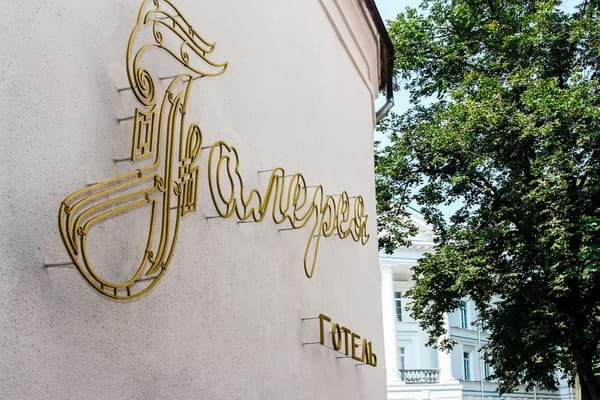 Price for an extra bed for an adult - 350 Uah. Accomodation of children on the given places is free of charge. 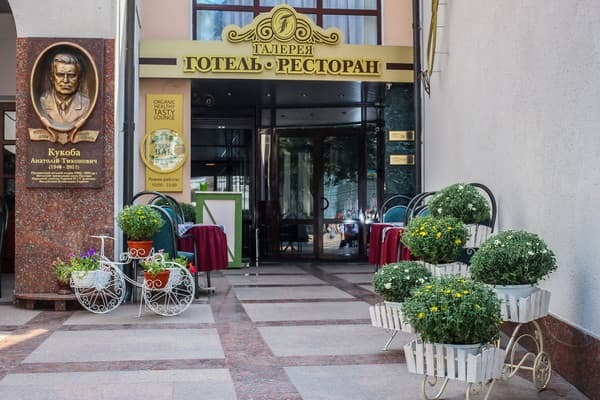 The hotel has a restaurant and a bar with a summer terrace. 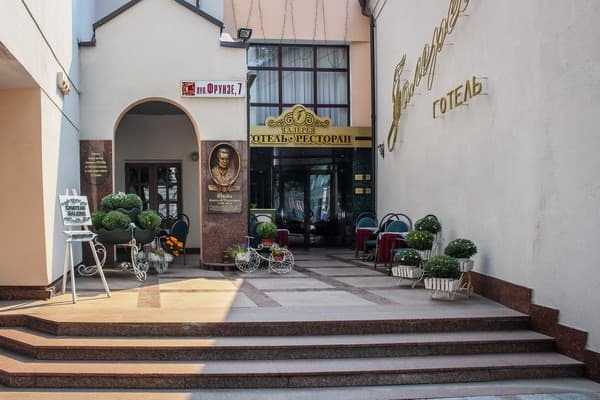 "GALLERY" is located in the heart of the historical, cultural and business center of Poltava. The hotel can be reached from any auto or railway station by public transport to the stop "Center".